This beautiful cushion has been designed by Sue Rhodes and features a sweet little nest with the bird singing to her chicks. 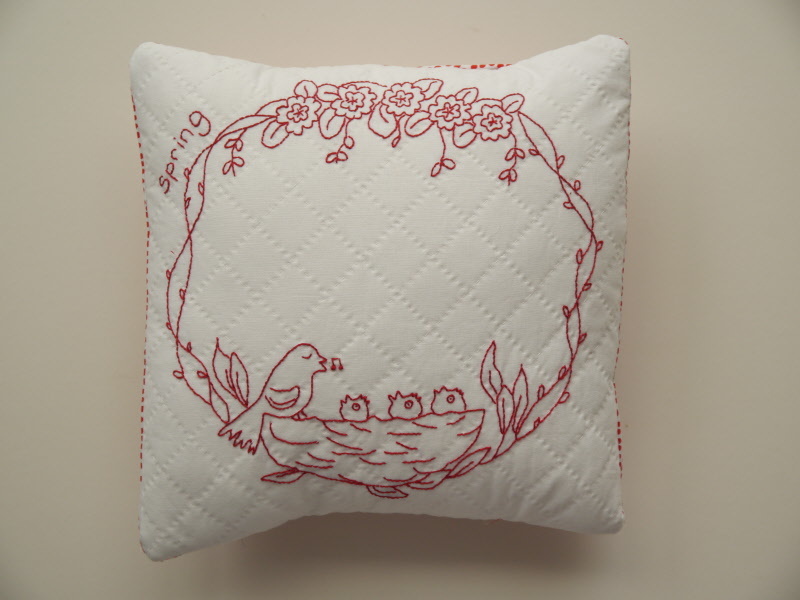 It has been designed as a hand embroidery design and the pattern includes full instructions on how to make the cushion and a full size template for you to trace the design from. The cushion measures approximately 12 x 12 inches square.